Rolling to evade the iron hammer, the thief sighed. So much for a quiet night. Before the blacksmith could recover, the thief kicked over the table, his Dark Rogue Leather Greaves protecting him from the sharp teeth of the smiths cur. Providing leg protection without sacrificing speed, these studded greaves look great in either black or brown. 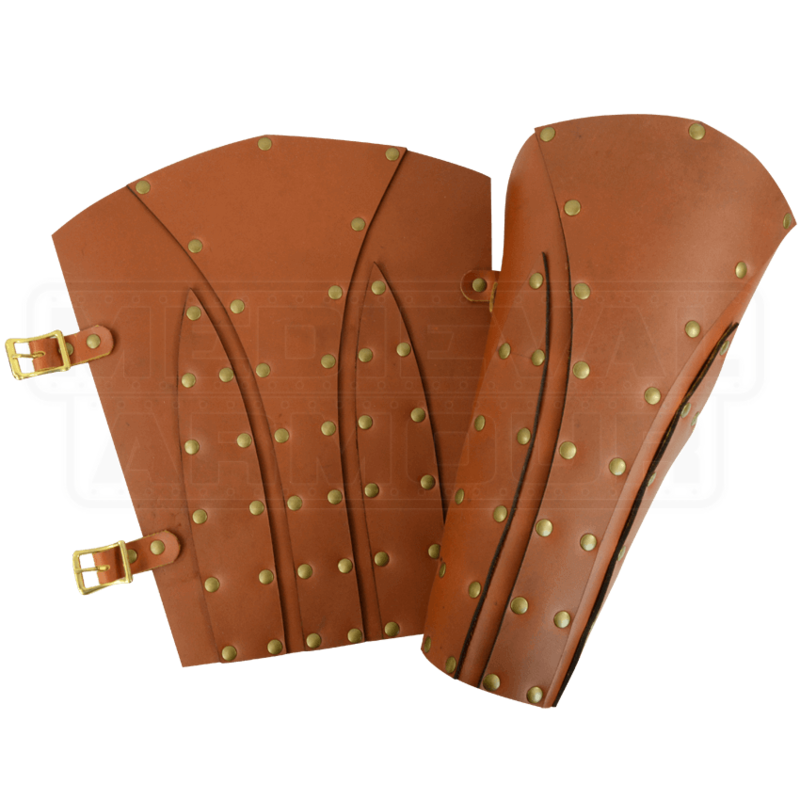 Hand crafted in our shop from 7/8 ounce leather, these greaves are finished with steel hardware for the black leather or antique brass hardware for brown leather. Each leather greave has two buckles and straps for an adjustable fit on the lower leg. When you are seeking leg protection that will keep you light on your feet for sneaking or stabbing, these Dark Rogue Leather Greaves are a capital choice.